The federal estate tax affects only the richest families in America. The federal estate tax affects only the richest families in America. The Tax Cuts and Jobs Act of 2017 doubled the threashold amount for paying federal taxes. This means that for deaths in 2019, only estates worth more than $11.4 million will owe estate taxes. And couples can share their exemptions--so between them, they can leave up to $22.8 million with no concern about estate taxes. Every person who dies in 2019 may leave or give away up to $11.4 million without owing any estate tax. As a practical matter, that means that under the new rules about 99.9% of all estates will NOT owe any federal gift/estate tax. The exemption amount will rise with inflation each year. One popular feature of the current estate tax law is that spouses can combine their estate tax exemptions, effectively letting married couples give away or leave almost $22.8 million without owing tax. The new law makes this feature, called “portability” by tax experts, permanent. Here’s how it works: If the first spouse to die doesn’t use up his or her individual gift/estate tax exemption, the surviving spouse can use what’s left. That gives the couple a total exemption of twice the individual exemption amount. They can share that total exemption amount in the way that provides the greatest tax benefit. For example, if each member of a couple has $10 million in assets, and the first one to die leaves everything to the other, no estate tax is owed because property left to a spouse is tax-free. 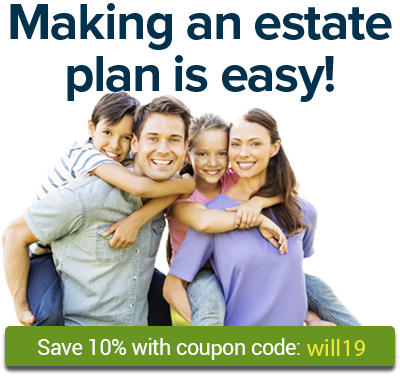 When the survivor dies and leaves $20 million ($10 million plus the $10 million inherited from the other spouse) to their children, no estate tax will be due, even though the estate is over the exemption amount, because the estate can use some of the first spouse’s unused exemption. To take advantage of the portability rule, an estate tax return must be filed when the first spouse dies--even if no tax will be due. As commentators have pointed out, this means the IRS must process returns that don't provide any tax revenue, and taxpayers must pay experts to prepare these very complicated tax returns. On very large estates subject to the tax, the gift/estate rate is now 40%, lower than the rates in almost every year since the 1930s. Learn more about Estate Tax on Nolo.com.